Keeping up with Landree: Thank you! 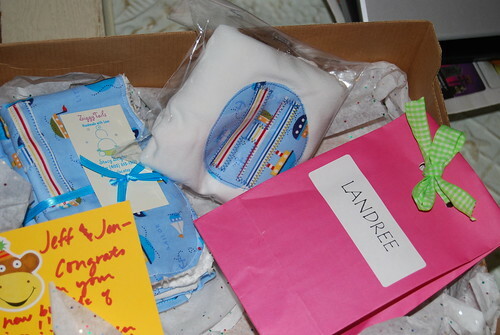 My sweet bloggy friends Jodee and Kim were so sweet to send us a gift for baby Hudson. 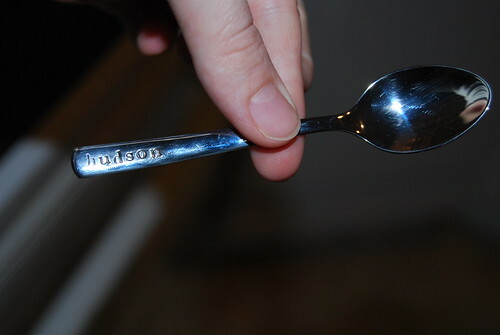 Kim sent the sweetest little spoon with Hudson's name engraved on it. It's hard to take a picture of a spoon, but isn't it cute? I can't wait to use it or maybe just save it. Are you supposed to use a spoon this cute? It's so sweet. I love seeing his name on anything. 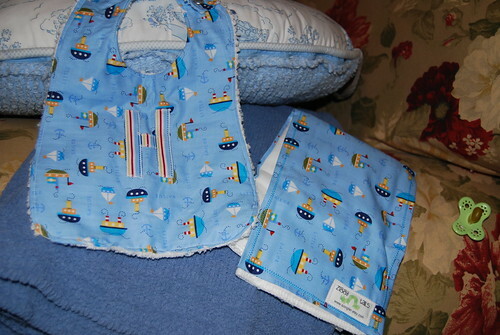 Jodee sent Hudson a matching burp cloth, bib and onsie. 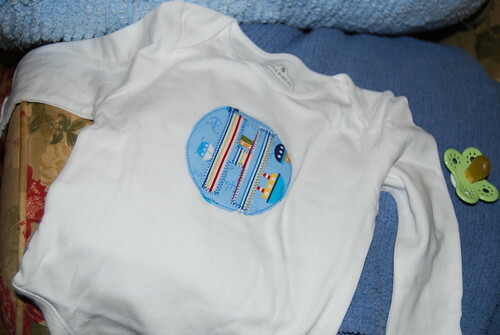 I can't wait for Hudson to wear his onsie. The way he's growing it won't be long. She even put a little bag in filled with stickers and a sucker for Landree. We have the best bloggy friends around. I seriously would have never imagined I would have met so many fabulous friends by having a blog. Thanks girls! I am sooo glad you liked your gifts! It was fun picking something out for him. I love the silver spoon too! It is almost too cute to use! I am so glad you got it and you like it! I adore the things Jodee sent too:) SO SO cute. It is wonderful to meet so many special people through the blogging community.